I (maybe?) visited the Baxter Building in NYC! 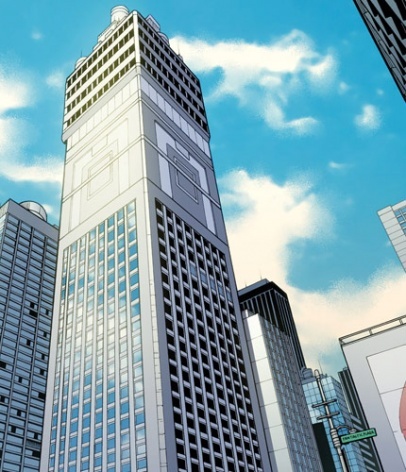 The Marvel Universe was created to be "the world outside your window", taking place in real world locations, as a way to serve as a contrast to the DC Universe, populated by fictional cities like Metropolis and Gotham. 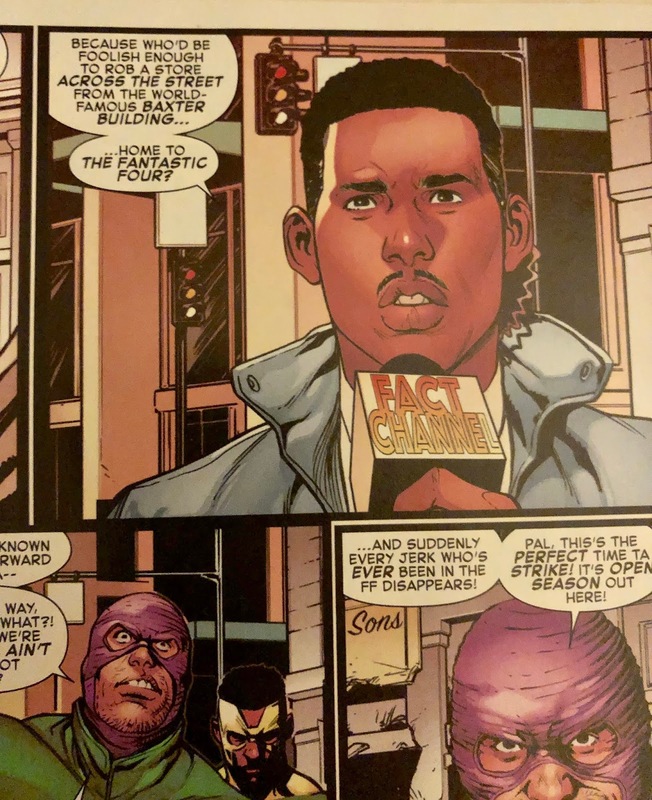 Most Marvel heroes, at the times of their creation, operated out of New York City, meaning readers could see famous landmarks that supposedly grounded the books' characters. 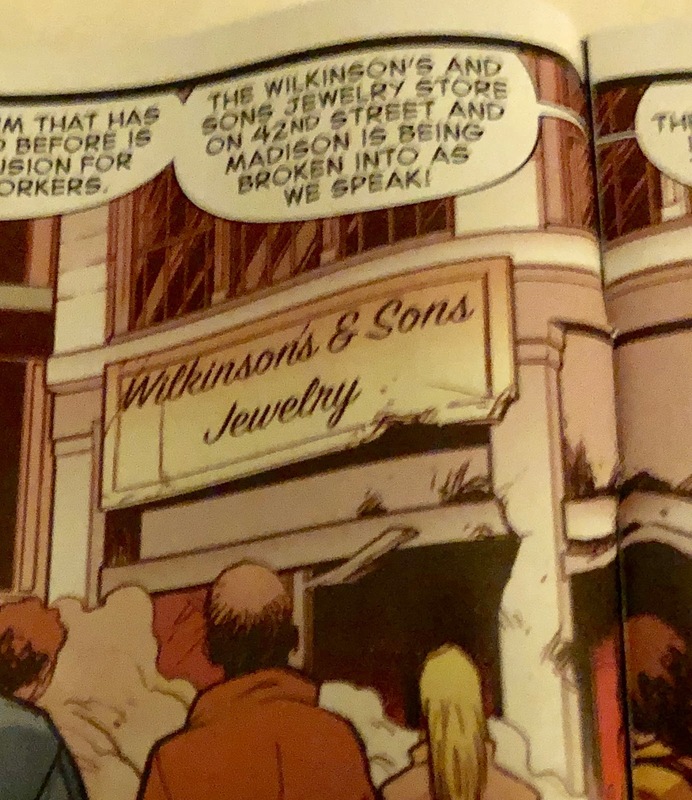 Yet for every Brooklyn Bridge and Statue of Liberty sighting, there was also Avengers Mansion, The Daily Bugle and - my favorite, naturally - the Baxter Building, home of the world famous Fantastic Four. 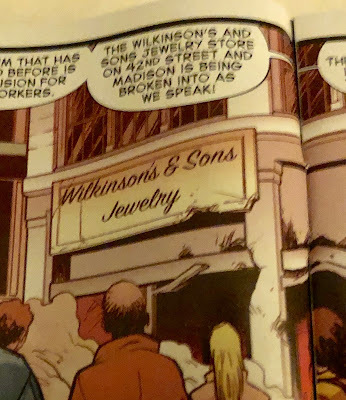 Even though these locations are fictional, many reside in real neighborhoods or at specific addresses in Marvel's New York City, including the Baxter Building, which, according to a number of in-story references, is located at 42nd St. and Madison Ave., which is pretty close to Times Square and midtown Manhattan. Back in October, I attended the New York Comic Con. After the show let out on Saturday night, I thought I'd try and track down the building's street address in our universe. It wasn't that far of a walk from the convention center, and the weather was still pretty nice, so I walked down 7th Ave. and turned right on 42nd St. This is obviously a case of thinking too hard about something that doesn't actually exist. Still, I was happy to walk to a rather inconsequential street corner and take a few pictures of seemingly nothing at all. Oh, and I had my Fantastic Four shirt on, too! Overkill? Maybe. This was more fun than maybe it should've been. Still, fun is fun. The building actually does look like what's sitting on one corner of the street in real life. Look! It's the world outside your window! The DC booth often features displays of costumes from current and upcoming adaptations. I don't often get to see them because there's almost always a crowd during the show, they're set up in the middle of the booth area, and I'm (um) afraid to wander in there before the show opens up. But hey! Here's Zach Levi's Captain Marvel costume! Here's another Batman who Laughs! The Batman who Laughs is a weird character with lots of belts. That is all. Wait'll this guy sees the concession stand prices. I saw Lesley Vamos! What a lovely person! Here's David Ross, AKA Cowboy Santa Tick, as Iron Fist! This is maybe the fourth time I've seen Matt and John Yuan as I've walked through the convention hall. They're both very nice and they're very forgiving of the fact that I bring up their roles on Arrested Development every time I see them. Have you seen The Orville? It's pretty much Star Trek Lite, but I think I like it. These are good costumes. This is a meme, right? It's a meme. Is this a gender-reversed Peter Pan thing, or are both of these people dressed as Tinker Bell? I thought the wings were especially nice. I think this was from my "rush around and take pictures of everyone in costume" part of the day. It's easy to focus on this very-nicely-done adult and kid Gamora, but also don't forget to spot the guy in the unicorn costume talking with Stan Sakai in the background. I got to talk for a bit with Dave Garcia, Tick artist and apparent Buffalo Bill reenactment model! Dave's a really great guy and I'd love to write a Tick story for him to draw some day. Robin is also a Very Serious Person. The glowing mace is a nice touch. This is dang movie quality. Maybe it doesn't stand out as much as some of the more elaborate costumes, but this is one incredible Dr. Zaius costume. The mask is incredible! And when he talked, his mouth moved! I loved this. Every year, 5:00 on Sunday brings the end of the show, and a frenzy of the teardown process. Everyone is always anxious to pack up and go, but I think it's nice to take a second and appreciate Comic-Con for the great opportunities it provides fans and creators alike. I walked by as the staff was apparently taking their end-of-show picture, this one in front of the Deadpool animatronic booth. If you cut Deadpool in half at the waist, what would happen? Would his top part just grow new legs, or would both halves regenerate, creating two Deadpools? 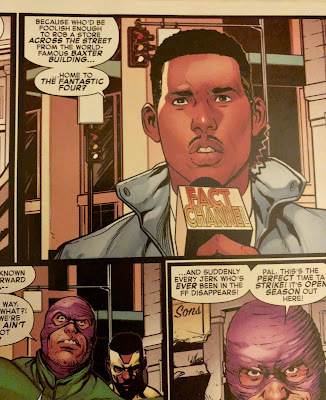 Where does the core of his healing factor reside? Answer me, Internets! The 2018 show was a really memorable one. I got to step band and enjoy things a little more than usual this year. I'll be returning once again in July! One more set of pictures before we put this to bed. We'll make it!